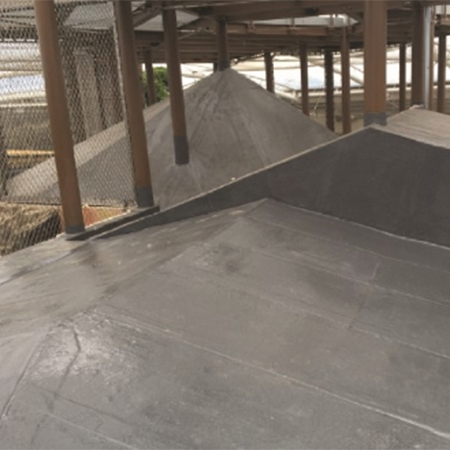 Waterproofing specialist, Kemper System, has provided the roofing solution for a hot and humid environment in the heart of leafy Cheshire at Chester Zoo’s £40m ‘Islands’ development. 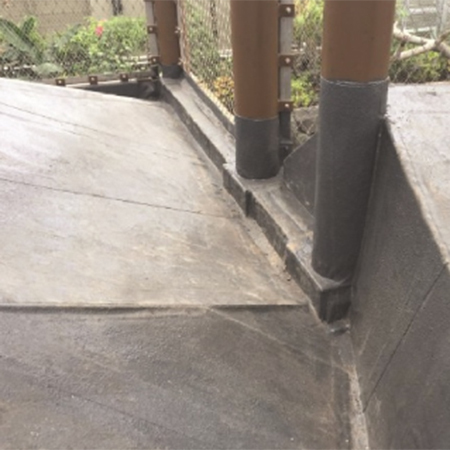 The company’s solvent-free Kemperol 2K-PUR cold liquid-applied waterproofing membrane has been used for the roof of the ‘Tree House’, which will form a covered walkway for visitors under a giant polymer dome – called Monsoon Forest. Designed by Dan Pearlman, the exhibit forms part of the largest zoo development in UK history, Islands, comprising six South East Asian island environments which visitors can explore on foot or by boat to discover native plants and wildlife from the region. 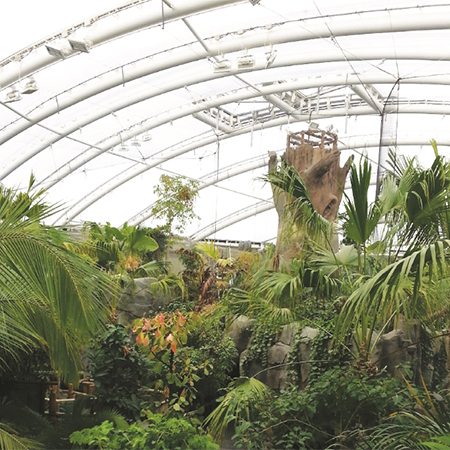 Roofing contractor, K. Pendlebury Roofing, met with the client at the zoo to discuss specification for the job, which had to take into account the habitat’s changing climate, the water mist that is used to create humidity and, the behaviour of the animals. 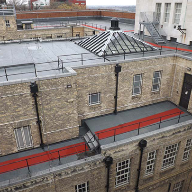 Following application of a primer mixed with quartz sand to provide a key, the cold-liquid Kemperol 2K-PUR resin was then applied directly onto the roof. The installation team then laid Kemper System’s 165gsm flexible reinforcement fleece, which is cut to size and shape on site, directly into the wet resin, using rollers to remove any creases or air bubbles before immediately applying more resin to fully saturate the fleece. 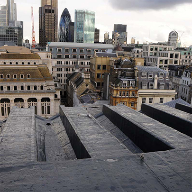 Kemper System is the company behind KEMPEROL®, globally renowned liquid resin waterproofing systems for the long-term protection of roofs, critical structures and buildings. 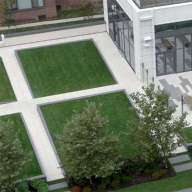 Including green roofs, eco-roofs and warm roof build-ups.